I have been in the process of getting a dental implant. The dentist is Peter Fritz in Foothill. 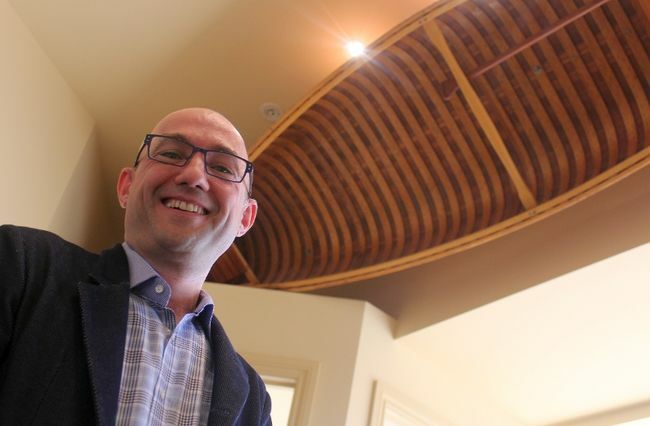 His office is impressive with a Northern Ontario theme of canoes. I was there yesterday for one of the final stages in the process. I was reading his newsletters in the waiting room. Most of them had pictures of a very big canoe - showcasing it in the newsletters. I asked about it. Peter told me that this canoe was owned by Bill Mason, famous canoeist and filmmaker. 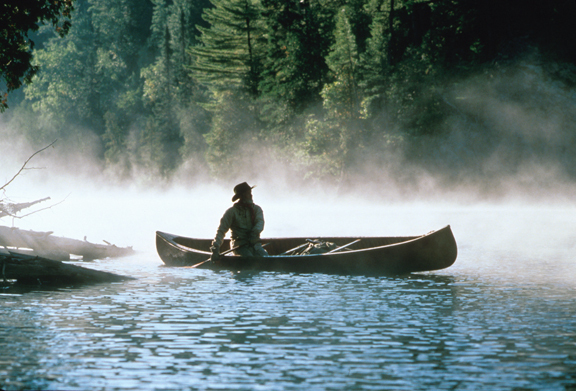 Bill Mason is known as the patron saint of canoeing. 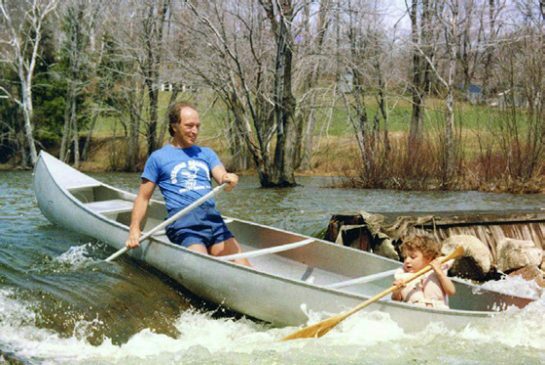 In one of the newsletters was a picture of Pierre Elliot Trudeau and son Justin canoeing in the famous canoe. I've found it so you can enjoy this great picture. It is a seventeen-foot aluminum canoe used in 'Song of the Paddle'. It is named the Queen Mary. Peter now owns this canoe and it is coming to Peter's practice in Foothill to be displayed somewhere in the offices. There's one in the waiting room at the ceiling - the second picture shows this one. The third picture is of Peter canoeing. I found this picture at the Canadian Museum site. It is red like Bill Mason's favourite canoe - a red "Fort" chestnut Prospector, a 16-foot canvas covered wood canoe. The actual favourite canoe is in the Museum. I included the bottom picture of Bill Mason canoeing in a Fort chestnut canoe as it is such a beautiful image. And what's next for canoeing? In 2017, Gerry will be working on the new Canadian Canoe Museum. This museum has the largest canoe and kayak collection in the world. It is an exciting project for Peterborough: It will be 'an elegant, serpentine glass pavilion graced by a two-acre rooftop garden'.